Although mesothelioma, the rare and fatal cancel in peritoneum (abdomen) or pleura (chest lining), has leveled off in the United States since the 90s, the prevalence of the disease is still very real. The prime cause is asbestos exposure; the body is not able to free itself from inhaled asbestos, which triggers physiological reactions resulting in mesothelioma, even decades after first exposure. 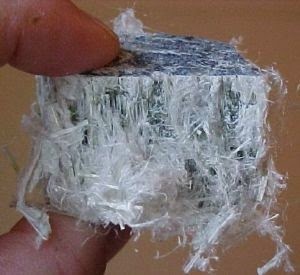 In fact, a victim may breathe asbestos fibers for many decades before mesothelioma is finally diagnosed. It is estimated that 2,500 to 3,000 American citizens to be diagnosed as malignant mesothelioma victims in 2014. They also classify mesothelioma in lung cancers that continue be the common cause of cancer deaths in the U.S., accounting for around 50% of overall cancer deaths among males and females. And due to asbestos exposure decades ago, several are projected to develop the disease in the next several years. The Mesothelioma Center’s advocacy group and website on asbestos informs that incidence of mesothelioma in the U.S. may have peaked near 2010, and the source cites a study which projects approximately 85,000 people in the country to be diagnosed with mesothelioma from 2008 to 2054. According to the U.S. Government Accountability Office, more than $30 billion have been set aside by companies from mesothelioma victims since the 80s. And between 1982 and 2002, the companies sued increased from 300 to 8,400, while the number of asbestos plaintiffs went from 1,000 to 730,000. Asbestos litigation has also been classified as the mass tort litigation longest running in U.S. history. Thousands of lawsuits have been filed over the last decade, with many resulting in settlements or verdicts awarding $1,000,000 and in some cases, even more to the litigants. Plaintiffs also continue to face challenges because of the long-latency period associated with asbestos-based diseases and mesothelioma law varying state by state. Many states allow three years to file a claim after diagnosis while others only allow a year. Each case is different, so it is important for current and future plaintiffs to know how to file a mesothelioma lawsuit as soon as possible after the diagnosis. Some judges dealing with the case will also speed up the process knowing that mesothelioma is life-threatening, and requires significant financial resources for health treatment. Research is always ongoing when it comes to mesothelioma treatment. PDT (photodynamic therapy) is a new technique being used for treatment in several clinics: a drug (light-activated) is injected into the patient’s vein, and it spreads across the body to collect cancer cells. Days later, after surgery, a red light is inserted into the chest cavity causing a chemical change that triggers the drug and kills the cancer cells. The approach may lead to few side effects because the drug is only activated in parts exposed to the light, instead of the entire body. Gene therapy is another new treatment being tested in mesothelioma cases. It involves adding new genes (special viruses) into cancer cells so they are easier to kill. A version of this approach includes a virus hosting a gene that triggers the immune system to kill the cancer cells. Given the circumstances, mesothelioma health effects are expected to increase in coming years. Victims who take legal action immediately after diagnosis and stay updated with treatment options will increase their chances of adequate compensation and recovery.